As you may have seen in my recent posts (here and here), the CS&HISC recently made a decision to remove the Advanced Diplomas of Naturopathy, Western Herbal Medicine, Nutritional Medicine, and Homoeopathy from the Health Training Package in December 2015. This came after almost 18 months of discussion and consultation, and majority support amongst stakeholders. Yet the Australian Traditional Medicine Society (ATMS) refuses to accept the majority decision, is actively opposing it and is seeking to have the CS&HISC decision overturned. Five of those six associations agreed fully with the decision to move to Bachelor degree as the new minimum educational standard, and agreed to work collaboratively on standards for Bachelor level courses. I was a part of this meeting, and it was great to see the broad agreement and desire to work together on this issue. But guess who didn’t agree. You would be correct if you guessed ATMS. On 30 August ATMS made another submission to the CS&HISC opposing the decision, and on 4 September issued a press release as well. In the interests of transparency, I am attaching ATMS’s submission here (which is in the public domain as it was sent to the group of 6 associations). The fact of the matter is that no other health profession in this country, which expects its practitioners to work autonomously and without supervision, and who make decisions around patient assessment and administers ingestive medicines, has anything less than Bachelor degree as the entry standard. Why does ATMS think we should have a lower standard than everybody else? Below I will demonstrate, with a discussion of quotes from their submission, why in my opinion ATMS does not represent the best interests of the profession (indeed they don’t even call it a profession, but continue to call it an “industry”), or the public who choose our health services. I believe my introduction above addressed this point. No other health profession with similar responsibilities has anything less than Bachelor degree as the entry standard. So practitioners of naturopathy, herbal medicine, nutritional medicine, and homoeopathy don’t need to know how to read, interprete, and apply research findings in practice? What does ATMS think this is, the 19th century? So ATMS is equating naturopathic, herbal, nutritional and homoeopathic clinicians, with retail assistants in health food stores. Wow, no wonder the public and other health professions often have an inaccurate view of what we do – one of our own “professional” associations doesn’t even understand! Secondly, they again refer to us as “industry”. As I have covered previously, we are members of a health care profession, not an industry. And this is exactly why we need Bachelor degree as the standard for the future. 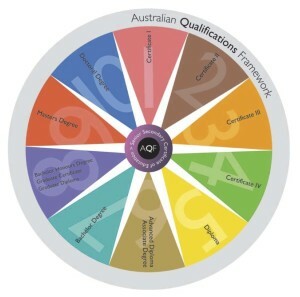 Vocational education (AQF Level 1–6) supports industry very well, but it doesn’t – under its own descriptors in the AQF – cater to producing professionals. How is that comparable to the unsupervised, undelegated work conducted by practitioners within our profession? This is in actual fact an argument for Bachelor degrees. Ignoring the fact that there are few job opportunities exactly because our minimum standard of education is below that of every other health profession, the AQF very clearly states that Advanced Diplomas train para-professionals, and Bachelor degrees train professionals. Para-professionals are meant to work in a supervised or delegate capacity, but as ATMS states, many of us are self-employed and certainly not supervised. Hence ATMS is arguing against itself with this statement. Many of the associations supporting the move to Bachelor degrees have made specific statements that this does not mean they will refuse entry for Advanced Diploma graduates. Obviously a period of transition is needed, and those who are already members or already enrolled in Advanced Diplomas should not be unfairly disadvantaged. So for the forseeable future, none of these professional associations are forcing existing practitioners to upgrade. Yet many people are interested in doing just that, and some with years of experience but no Bachelor degree, are being recognised for that experience and enrolling in post-graduate programs. I trained long before Advanced Diplomas existed in our profession (they were Diplomas back then, and there were no Bachelor upgrade pathways, no VET FEE HELP), and after 10 years of practice I bypassed Bachelor degree and went straight to Masters degree. As have a number of my colleagues. And where are ATMS getting their grossly exaggerated figures from? This is close to the cost of some currently available degree programs, from start to finish (ie. 3–4 years of study), and not upgrade pathways which typically take around 1 year. Whilst I won’t argue that it would be good for the profession to have more practitioners and lecturers qualified at a Masters degree level or higher, the argument that you cannot teach at Bachelor level if you don’t have a higher qualification is not strictly true. According to the Higher Education Standards Framework item 4.2: “The higher education provider ensures that staff who teach students in the course of study: are appropriately qualified in the relevant discipline for their level of teaching (qualified to at least one AQF qualification level higher than the course of study being taught or with equivalent professional experience)” (note: emphasis mine). Why is the “industry” in decline? They mention on page 1 declining membership levels which “we believe would be seen across the majority of associations”. Yet according to their own annual reports, the total number of members of ATMS has increased every year between 2008–2012, and again in 2014 compared to 2012. Nobody is saying ATMS is not a significant voice and a legitimate stakeholder. But what they need to realise is that they are only one of many stakeholders, and on this issue they have clearly been outvoted. They cannot dictate the terms when 5 other equally legitimate associations have the opposite opinion, along with a number of other relevant stakeholders. Welcome to democracy (something which ATMS obviously still finds difficult to understand). Wow, what a weird circular argument. So basically we are not professionals because we are not licensed, therefore there is no problem with being refered to, and trained only to a standard representing, para-professionals. So if we are para-professionals, exactly who supervises us and delegates tasks to us? Bizarre. The table on page 4 shows existing enrolments for Advanced Diplomas in Naturopathy (80), Western Herbal Medicine (23), and Nutritional Medicine (63). I’m not even sure why they are even presenting these numbers, nor where they are getting them from. If they think that these are Australia wide figures, then clearly they haven’t researched their numbers – I teach at one institution which has at least three times those numbers of students. The work of the SMEG’s (Subject Matter Expert Groups) is exactly what led to the consultation process and subsequent decision to discontinue the Advanced Diplomas. I am a member of the SMEG for Naturopathy & Western Herbal Medicine, and the discussions we had around improvements that need to be made to the Advanced Diplomas took us further and further away from the definition and course duration (1.5–2 years) of Advanced Diplomas as outlined in the AQF, and far more into the realm of AQF 7 (Bachelor degree). The issue wasn’t about adding more research units, it was mostly about improving clinical reasoning skills, patient assessment capability, and clinical training. In fact I remember specifically discussing alterations to the existing unit of competency in the Advanced Diploma of Naturopathy (HLTNUT601C Apply literature research findings to clinical practice) which discusses research to make it clear that the outcome wasn’t to train researchers, but to train clinicians who can interpret and apply research information. And again with they refer to “industry”. They clearly do not understand the difference, or alternatively don’t value themselves or their members enough to think of, and refer to them as professionals. Not sure where they are getting their figures from, but just at one institution at which I teach (Australasian College of Natural Therapies) the cost of the 3 year full time Advanced Diploma of Naturopathy is $45,000 and that does not include textbooks. The figures they quote might be consistent with a 1.5–2 year duration Advanced Diploma, but who seriously believes you can adequately train a Naturopath in 1.5–2 years full time? When I did my Diploma of Naturopathy 25 years ago it was 4 years full time, and that was a Diploma, not an Advanced Diploma! I think it's about time they ask their members what they want, because I for one want higher education standards and statutory regulation. I'm stuck with them if I want to keep my health fund status for remedial massage, but I feel really let down when it comes to my naturopathy and herbal medicine quals. I've had to join another association concurrently to be more reflective of my values. I'm not a salesperson, I'm a health PROFESSIONAL, I'm working on a masters degree and I want to be taken seriously by other health professionals. Here, here Julie! I haven't used my massage training for many years so I'm not sure, but is it worth joining a separate massage-focused association, and then your other current herbal/naturopathic association? Apparently ATMS is having an event in Bankstown on Sat 20 September re "the current and future environment for our industry". It is free to members. Perhaps members such as yourself, if they have the time, can attend and make their feelings and opinions known to the Board members who claim to represent them. What is your Masters and where are you studying? How are you enjoying it? I've been thinking of starting a small list on this site of post-graduate courses which may be of interest to herbalists and naturopaths, as I often get questions about what is available. Thank you for a great blog with fantastic insight. I have been in practice as a Nutritionist for 8 years only having the Dip Nut, as nothing else was available at the time. I have continued to study and have just completed my Adv Dip Herbal Medicine and have now run out of study-puff for the time being. If there is a way that I can gain a higher level degree without facing another 2-3 years, I would kiss the ground. Hi Vivianne! Glad it was informative. In regards to further study, sounds like you deserve a bit of a break! I imagine over the next year or so we will see more institutions offering defined pathways for upgrading to Bachelor degree, or even beyond for those with Advanced Diplomas plus experience. So keep your ear to the ground, and also keep an eye out here - I'm intending on setting up a list of possible options for people considering furthering their formal education in this area or areas complementary to naturopathy and Western herbal medicine. Its about time they pulled their collected heads out of their arse's and realised for the various professions within these modalities to be taken seriously they need to be serious about the levels of the qualifications. Thanks Mark. Seems that there is quite a bit of support for the move to Bachelor degree, with only a small but vocal minority against it. Looks like I wont be renewing my membership then. I shall "research" other "professional" associations to ensure my "qualifications" meet the "majority of the industry" standards. As a lecturer of Critiquing Research to both on-line and on-campus students I am amazed that they do not believe graduating practitioners are required to be able interpret whether new herbs or nutrients have clinical relevance. Health is an ever evolving industry, ahem, profession and as such ATMS should be evolving, rather than revolving! Thanks Ian for a great insight into how ATMS is still behaving! I can't believe they're still stuck in that old framework and positively refuse to upgrade our profession. I can't help but wonder how much of this is purely a financial decision by those with a vested interest in keeping the numbers up, regardless of quality. Thanks for all your efforts and continuing the fight for us! Hi Anne! Good to hear from you, and thanks for your comments. I think you are correct in many ways, that a lot of the objection to the changes is in reality driven by vested financial interests in keeping the Advanced Diploma. I will be starting a 3 years BHS with Endeavour in Nutrition (I was enrolled in Naturopathy but realised Private Insurance won't cover this area starting 2019 so I have decided to change) in early December. There are so many association I don't even know which one I should join. Also I don't know the future in natural medicines either? Funny I am a registered pharmacist for over 15 years but now wanting a career change as the pharmacy professional are totally destroyed due to over supplies of pharmacist, chemist warehouse damaged the profession and the continue decrease rebate from the government, very sad. I hope I can combine my knowledge in medication adding on nutritional (may be exercise--- which mean I may enrol to become a fitness instructor) can make a different to my patients health. Firstly, welcome to your new career! I understand your concerns with direction the pharmacy profession has taken in some areas. I do think naturopathy, herbal medicine and nutritional medicine are all good combinations with pharmacy (I worked about 2 years as a naturopath in pharmacy, and it was a great experience, and then my Masters degree was through the Faculty of Pharmacy at University of the Sydney). Secondly, to clear up some misconceptions. As I understand it, more health funds currently recognise naturopathy than they do nutrition. Whilst the government is changing health fund rebate rules for a range of complementary medicine disciplines in 2019, we are still fighting this. Additionally it is important to know that it's not just naturopathy which has been targeted, it is a range of complementary medicine disciplines (likely to also include nutrition). If you study nutrition, you won't be eligible to join the NHAA as they are a discipline-focused association recognising herbalists and naturopaths. Other associations such as ANTA are multi-modality, covering a large range of modalities (an approach with comes with both positives and negatives), and so recognise people trained in nutrition. In terms of your choice of study, I would strongly recommend naturopathy over nutritional medicine. Most of the content of the nutritional medicine degree is embedded within the naturopathy degree, plus you significantly increase your treatment options with the inclusion of a significant amount of herbal medicine training within the Endeavour naturopathy degree. As a result there are more occupational opportunities open to naturopaths, and clinically you have more treatment tools to deal with a greater range of clinical problems. Finally in terms of choice of association, I think it is important for every student to investigate what the various associations stand for, what they offer the individual but also what they do for the foundations and the future of the profession, how transparent is their governance structure (i.e. can members who are interested stand for election to their Board, and do all full members have voting rights), their history, etc. Many associations offer cheap or free membership in your last year as a student, so I recommend joining a range at that time, reading their literature, attending their meetings, asking questions of their Board, to really see which you think aligns with your values. Then when you graduate you can just join that association as a full member. In my personal opinion, the NHAA is the best association for naturopaths and herbalists. Obviously as you've seen I do believe ATMS has completely the wrong direction and attitude and as a result is damaging our profession in the long run. Full disclosure: I am a past Board member of the NHAA (8 years, 4 as Vice-President) and currently volunteer for them in the capacity of Chair of their Board Member Advisory Committee. 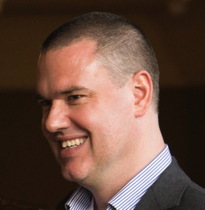 I am also Senior Lecturer for Naturopathy on the Sydney Campus of Endeavour College of Natural Health. I hope that helps. Best of luck with your studies! Thanks so much Ian for your prompt reply and advise. Originally I was enrolled with Paramount College (just closed down in October 2018) for Naturopathy as their is 3 years versus Endeavour 4 years - also I don't believe in Homeopathy and Endeavour College need me to study one year in Homeopathy - Homeopathy doesn't make sense to me in its pharmacology.. I just look at the course again and realise I can chose Myopathy instead of Homeopathy which is great. I agree with you the carer path in nutrition alone isn't great but I am hoping to combine it with exercise (fitness instructor)? Do you think Pharmacist + Nutrition + Exercise maybe a good (or better) combination compare to Pharmacist + Naturopathy? I will take your suggestion and talk to student enrolment advisor for this two very different. degree Maybe I just take the course applicable for both and have a think and decide later? I definitely still think that naturopathy is a better fit and combination with pharmacy than nutrition alone. The myotherapy elective option is an excellent option, and equips naturopathic graduates with better tools for assessing and managing patients with musculoskeletal problems. It would also combine well with your interest in exercise therapy. Thanks so much Ian for your guidance, really appreciate it. Would you be able to recommend me to spoke to one-two naturopathy practiotioners that are based in perth so I can be mentored? I am still doing on-lines course so haven't met the lectures or students yet. I spoke to another pharmacist and she says naturopathy/pharmacist will be a great combination as the integration for medication + herbs will be great. I will probably join ANPA once I have decided to change my course to Naturopathy. Unfortunately I can't point to you any specific people in Perth for mentoring, but once you are a student member of an association, it may be worth contacting them and get the details of some members in that area, and then individually making contact. No problem, I feel it is likely I will change my degree from Nutrition to Naturopathy. Once I have make that decision, I will join the association and contact the mentors. Will keep you updated. In the mean time, will look at your post! My online classed starting today... very excited!